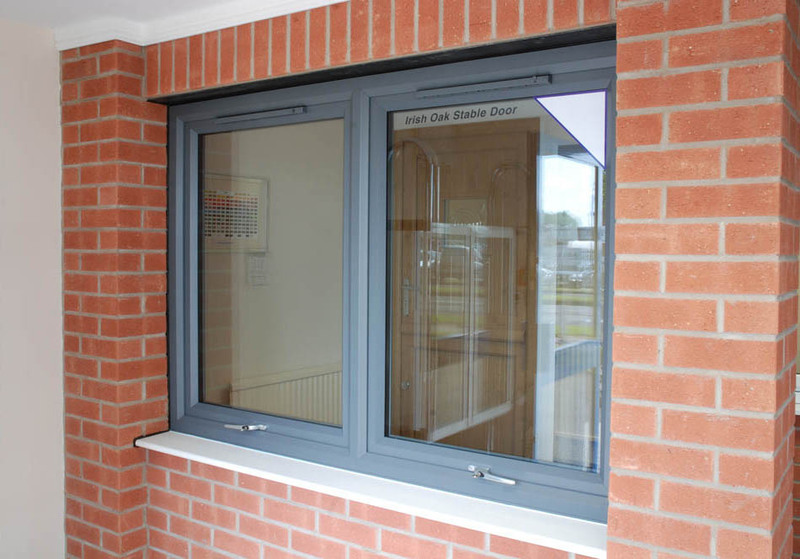 Frame Fast Eurocell PVCu casement windows are chosen by the trade and house developers for their high quality and big choice of styles and options. We also fabricate the Modus range of casement and flush sash windows to offer your customers even more choice. Frame Fast aim to manufacture windows to suit any style of house. 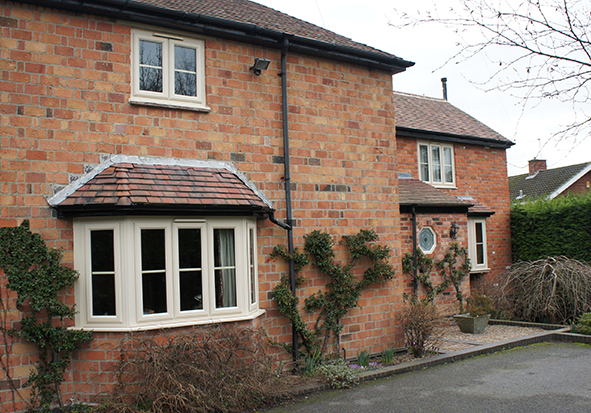 Our PVCu windows are available in a Bevelled or Ovolo profile. Bevelled frames have the appearance of a clean cut flat profile and the Ovolo style has a curved sculptured profile. Both profiles can be used in period and new style buildings but the Bevelled profile is more commonly used for the newer styled properties due to the sleek appearance. 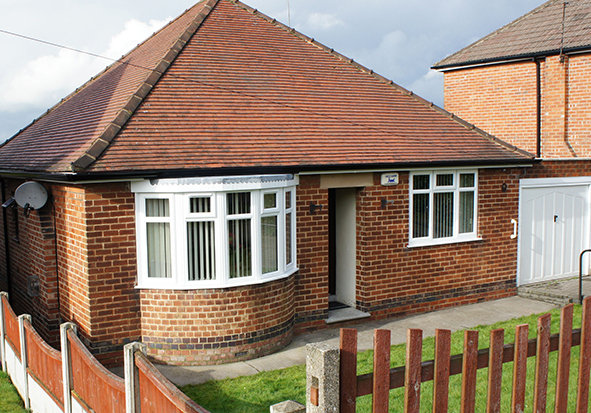 Depending on the customers’ needs our windows can be side or top opening and can be manufactured in a wide range of combinations with the options of internal or external Georgian bars. We offer a range of standard colours, wood grains or you can even choose any RAL colour. 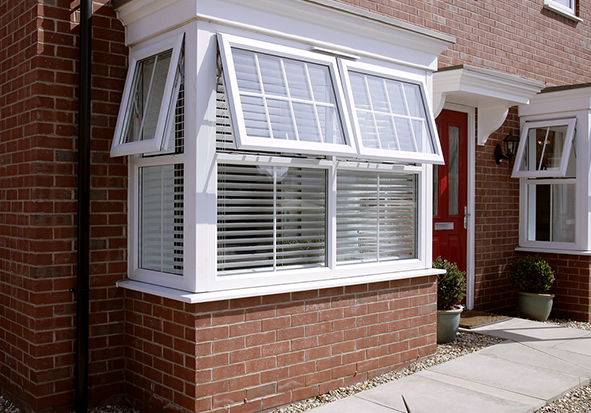 Frame Fast windows are designed to give you peace of mind with our high security locking systems as standard. We also manufacture our own glass to be able to offer our customer a full range of choice including energy rated and obscure. We offer PVCu casement windows in a wide range of standard colours and there is a full range of over 20 wood grain and smooth colour foil finishes including on white options. 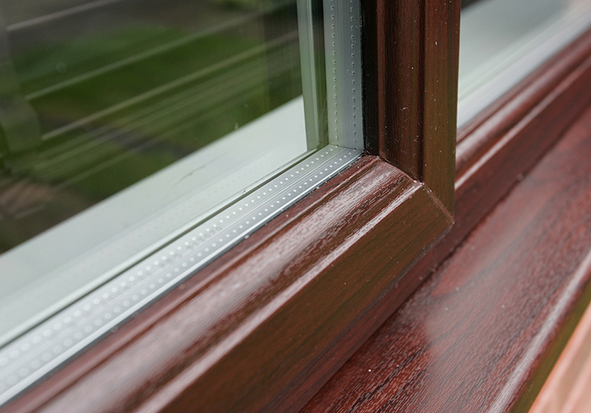 Frame Fast PVCu casement windows can achieve the highest A+ window energy rating with a double glazed unit. This is certified by the BFRC (the British Fenestration Rating Council). 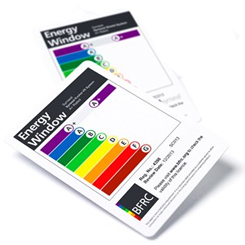 Thermally efficient PVCu frames mean an A energy rating is easily achieved using a lower cost double glazed glass unit. We’ve a great range of high quality handles in several finishes to suit your customer’s needs. Hinge options include easy clean options and fire egress for emergency escape. 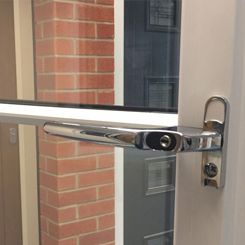 All of our windows feature a revolutionary window locking system combining strength and durability with exceptional security and performance. 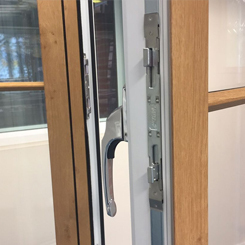 Our bi-directional lock has been engineered to improve security and features sets of opposing double bolts, which also act as anti-lift to give a smoother operation. 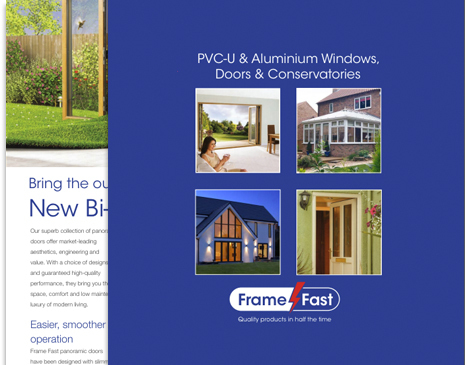 Download your free PVCu window guide, here you find a whole range of colours, hardware options and lots more.